Back to Home Page Curriculum Personal Achievements. Research Interests I am currently writing a PhD Thesis. PC Programs I wrote for my PC. RC Flight Simulator Learn to fly your Radio Control model airplane. Spectrum Published programs I wrote for my Spectrum Electronics Electronic Circuits I designed and built. Personal Bookmarks VRML Model of my face! PC The programs I wrote for my PC. This page contains a selection of programs I wrote for PC. Most of them include source code which you can use and misuse at will. 3D Graphics Stereo Demo (1994). Using a pair of magnifying lenses at 15 cm from the screen you can focus your eyes on the screen. A three-dimensional tank will appear in front of you. Use the keyboard to move around and fire at will. Stereo pair. Experience the effects of 3D in your computer! Game like aeroplane simulator v1.1 (1996). Demonstrates basic use of aeroplane control surfaces, radar, compass and altimeter. This is not a physics based simulator, but a game like aeroplane. The one you really want to see is here. For your first lesson get familiar with Aileron, Rudder and Elevator controls. Then press 'Q' to move forward. Press 'SPACE BAR' at any time to return the aeroplane to the start position. SPACE BAR Return to start position. Radar Shows position of aeroplane. Compass Shows orientation of aeroplane. Altimeter Shows altitude of aeroplane. Game-like flight. Have some fun flying around! Shows 45 different spherical meshes. 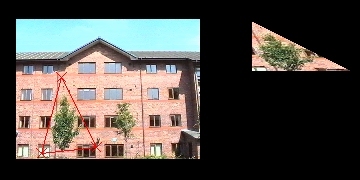 The scene can be viewed in stereo. Spheres and the view point can be controlled by the user. Stereo view of triangular mesh. Use with red/green glasses. This project was realised by 4 people in collaboration including me. Performs a Fourier transform of a function, then the Inverse Fourier Transform, and presents the results graphically. This technique achieves about 200% compression for text files (zip and arj achieve 800%). So if you were wondering why the downloadable files in my page are not compressed with my compressor, there you have the answer. output file: Optional target file name, only when compressing. Based on the article "Programming the Keyboard" in PCGPE. This program shows how to read simultaneously several key status in MSDos. On each turn the player must draw a new line between two dots in the grid. The player that completes more cells wins. Playing against the computer is not easy! There's still one line you can draw without giving away any precious cell. Can you spot it? Fight for the cells! <filename> must be a Targa (TGA) file. You will need a SVGA video card VESA compatible (most of them are). Five screen modes are selectable to view your image. Two selectable types of function can be filtered and displayed. The Sample Rate can also be modified with Cursor LEFT/RIGHT. Parameters can be modified and results are displayed immediately. Filtered pulse. The selected source triangle on the TGA image will be mapped onto a target triangle on the screen. Left Button Click on target vertices to drag target vertices. Right Button Click on target vertices to drag source vertices. Starting position of triangles. Source triangle has been chosen to include tree. The tree is mapped onto target triangle on the screen.